Arizona Pool Fence carries the premium Textilene mesh pool fence. 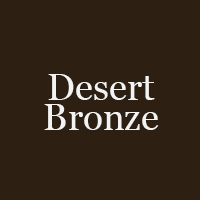 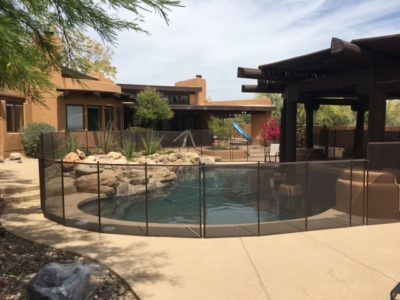 Our materials are the strongest manufactured in today’s market and has proven itself to last in the extreme heat we all experience in Arizona. 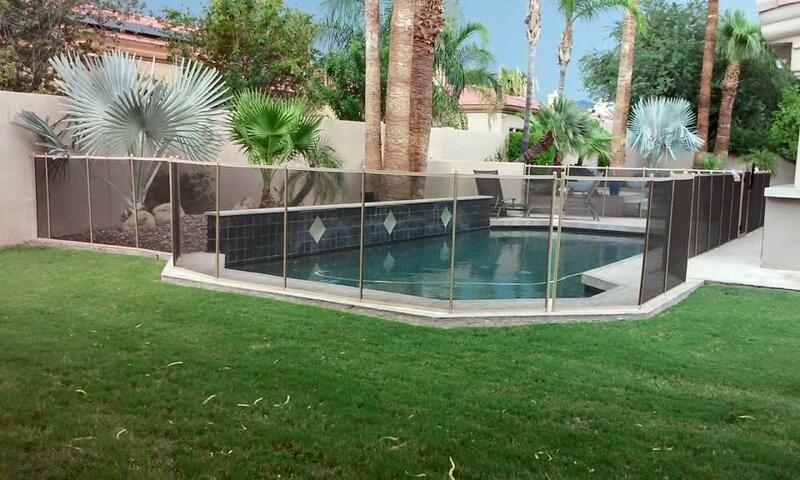 Our pool fence products are ASTM Certified. 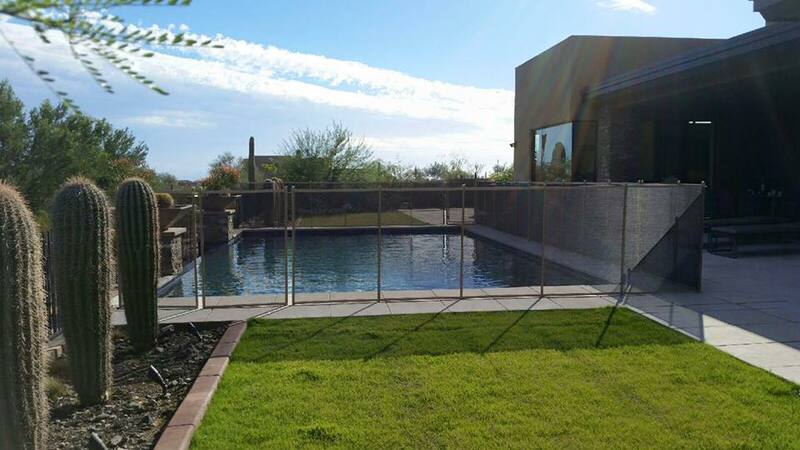 Both our pole strength and mesh strength surpasses the requirements for ASTM standards. 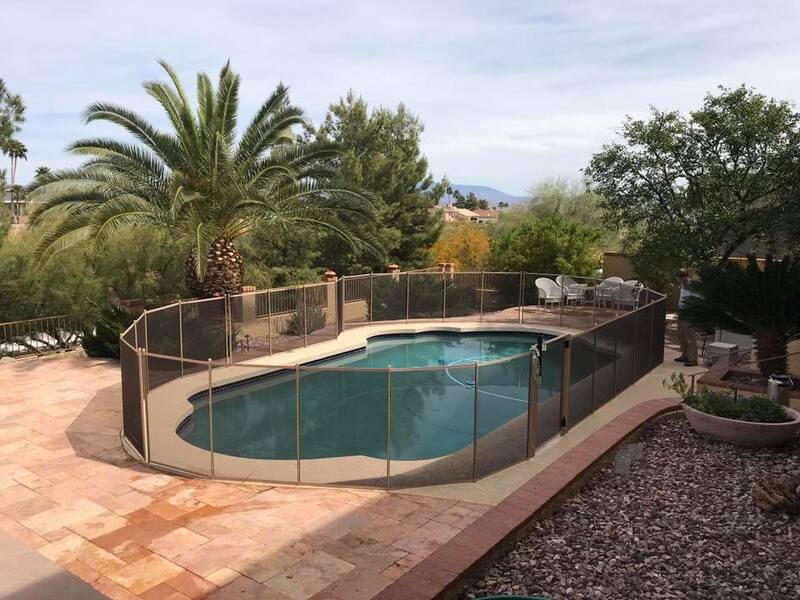 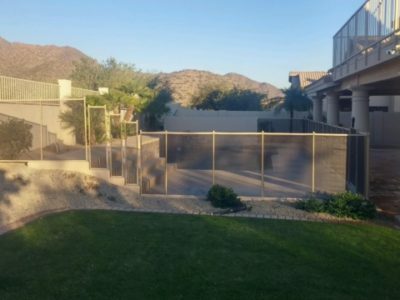 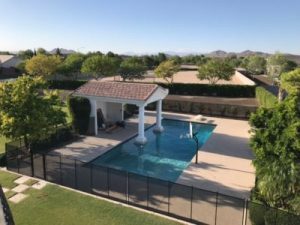 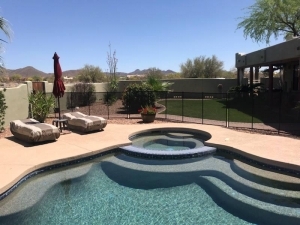 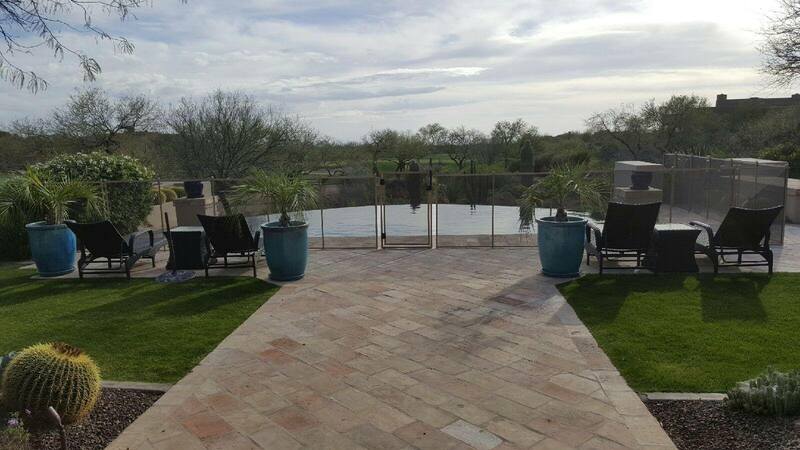 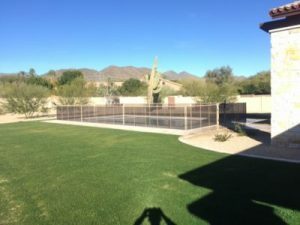 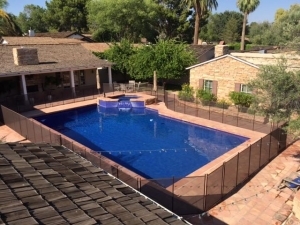 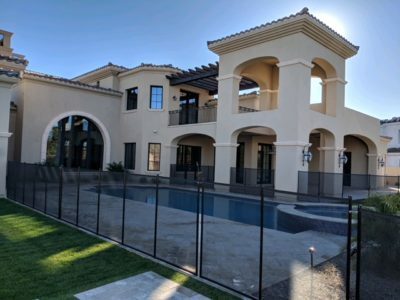 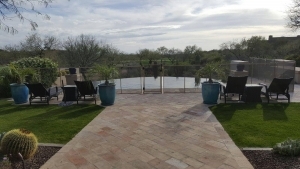 Arizona Pool Fence goes above and beyond those standards providing you the safest and strongest mesh fence on the market. 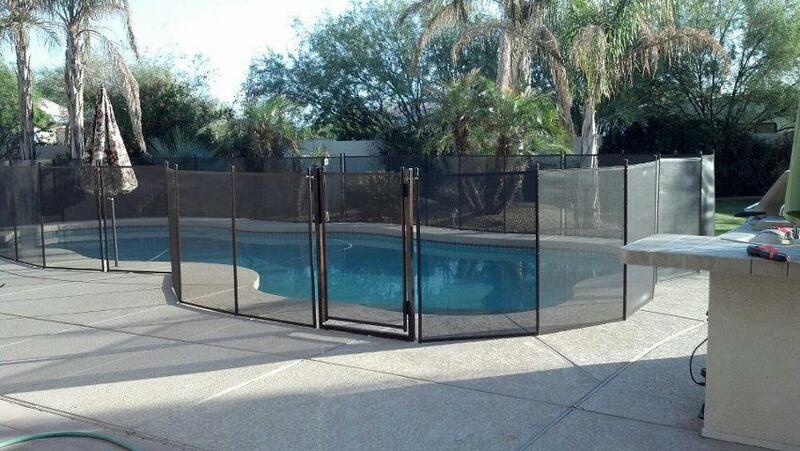 Our mesh comes with built in UV inhibitors, they are not sprayed on or heat pressed on which can evaporate over time. 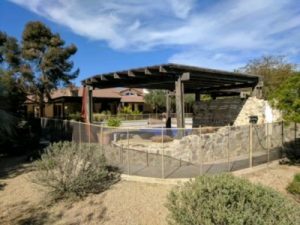 Instead, they are inner woven inhibitors. 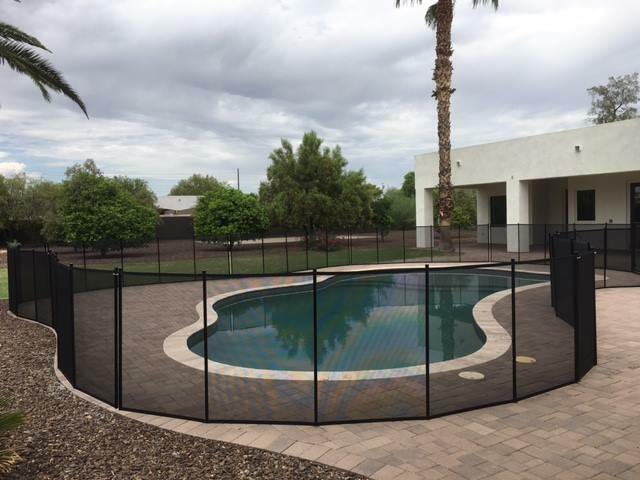 Arizona Pool Fence mesh is backed by a limited lifetime manufactures warranty. 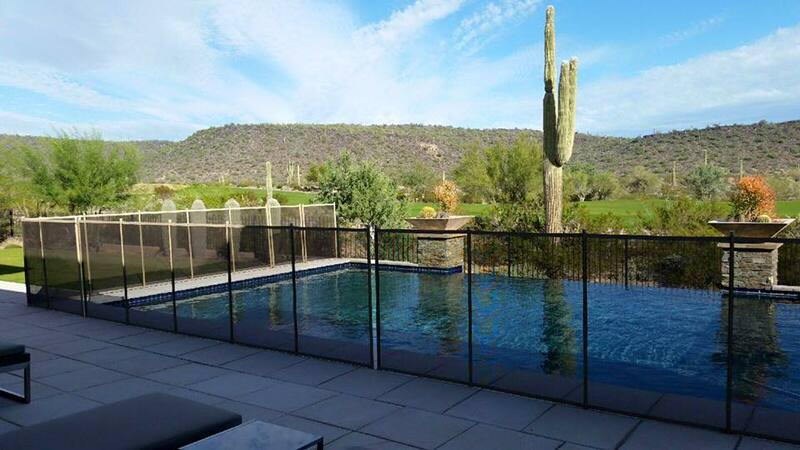 Our poles are aluminum with a QUAD X CORE aluminum reinforcement to provide maximum strength and are spaced 36″ apart. Our sleeves are custom designed, high impact, non-conductive and pass the national electric code; they will not corrode! 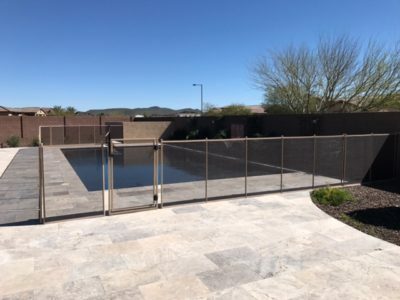 Our sturdy, lightweight mesh fence is tension based and can be installed on any surface such as concrete, cool decking, pavers, tile, travertine, stone, grass, dirt and more. 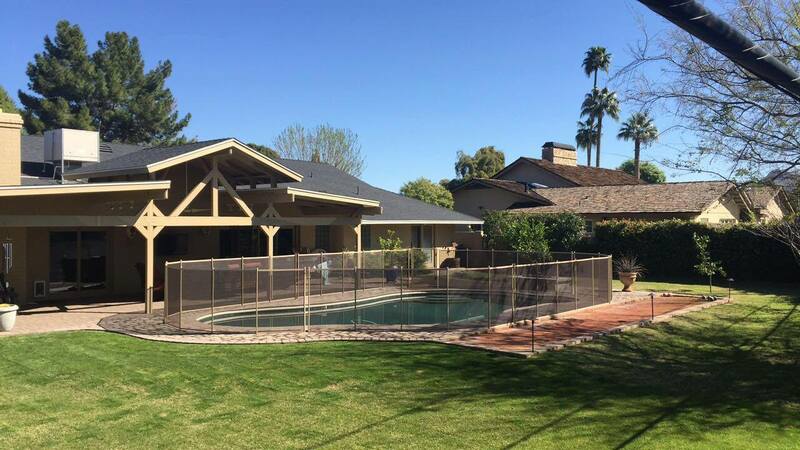 Our fence can be removed in minutes by an adult and easily stored away. Installation of our mesh pool fence requires the drilling of 1 1/8 inch holes in hard surfaces such as concrete. 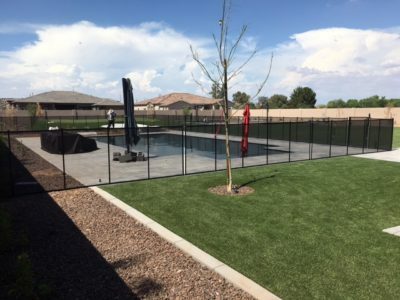 If your pool fence goes into dirt, grass, or anything soft it will require a concrete footing. 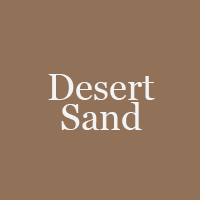 Once the holes are drilled, we place a sleeve insert into the hole, or, if you’re using footers, through landscape. 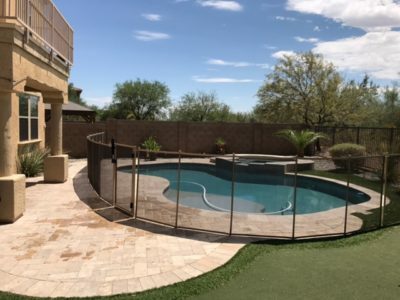 We put piping into the concrete to support the pool fence and keep the tension tight. 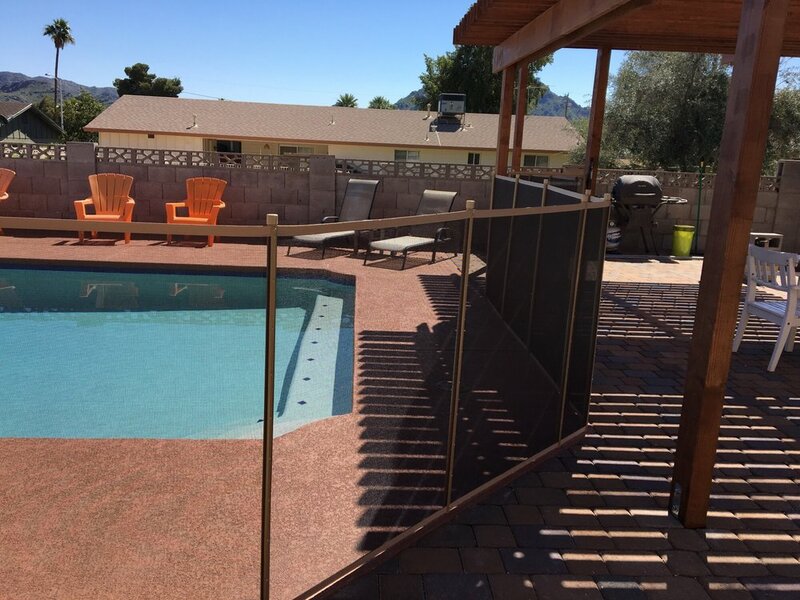 The holes we drill into the decking can be covered with our color-coordinated plugs which are flush with the decking when your mesh fence is not in use. 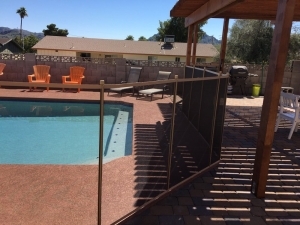 Arizona Pool Fence’s mesh fences can also be attached to homes, stucco, block, wood, block walls or other items. 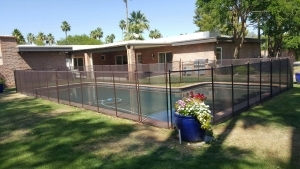 If you have nothing to attach it to we offer pool fence posts that we concrete into dirt or bolt down to decking. Our mesh pool fences can be installed in any shape; 90 degrees, curves and swerves, straight lines, zig-zags, virtually anything you desire. The pool fences can also attach to existing primary barrier walls so that you only have to fence off your pool doing an “L” shape or “U” shape. 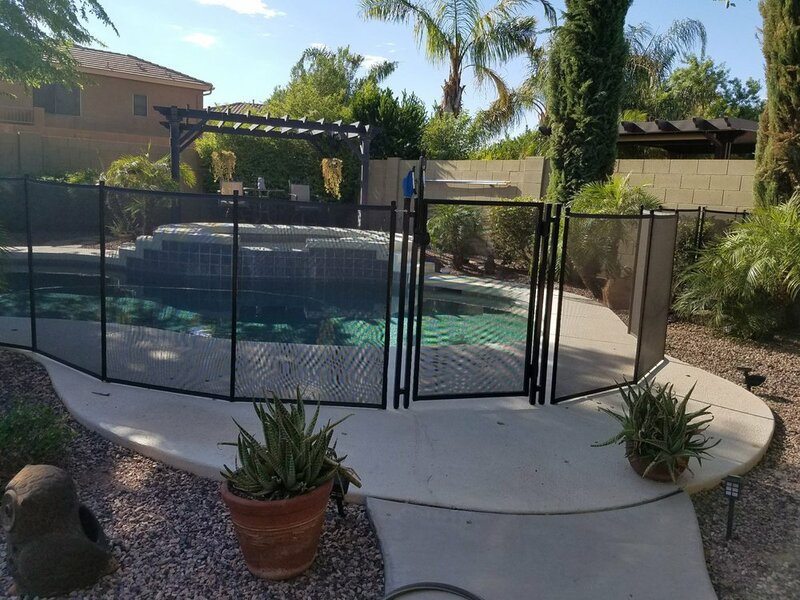 Arizona Pool Fence always recommends fully enclosing your pool to ensure that there are no other access areas to your pool. 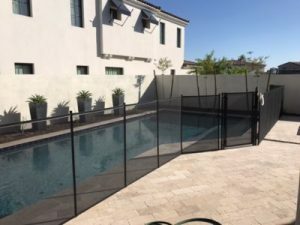 Read more details about how our mesh pool fences work. 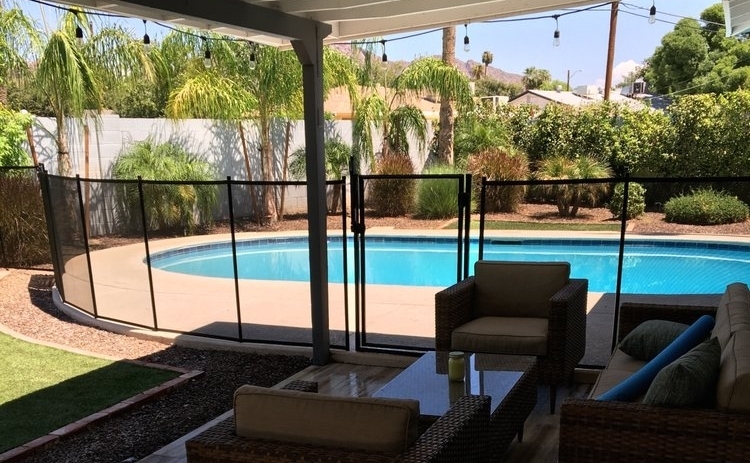 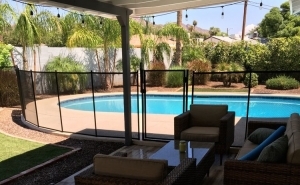 Arizona Pool Fence always recommends that you keep your fencing up all throughout the year but, we understand that part of the appeal to the mesh fencing system is that it can be removed. To remove our mesh pool fencing you release the tension of the fence by pulling two poles together (where one 15 foot section ends and the other begins), release the tension of the latch, pull the latch out of the eye bolt and lift up on the first pole and begin to take it out of the hole. The mesh fencing is then rolled to the 2nd pole, 3rd and so on until your fence is completely removed. 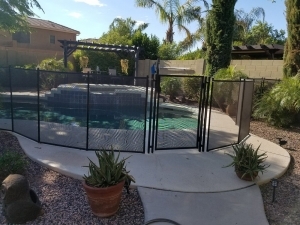 Our self-closing, self-latching pool gates which are stand-alone (meaning, it does not rely on the fence tension, it has it’s own gate frame) is also removable. When you’re ready to put the mesh fencing back in place, you simply put the first pole in the first hole and unroll the fence and continue placing the poles into the holes which are every 3 feet. 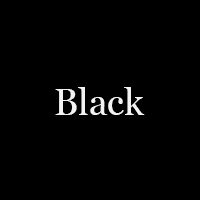 The process is simple and can be done in minutes. 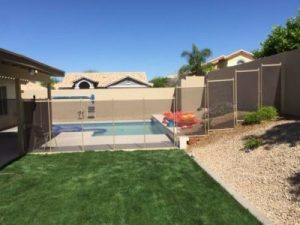 What Are The Advantages Of A Mesh Fence? Mesh pool fencing is more affordable than other types of pool fencing. 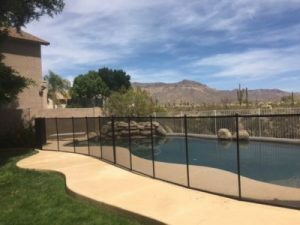 For a nice powder coated wrought iron fence, you would be spending quite a bit more money (several hundred more) than you would with the removable mesh fence system. The mesh pool fence is completely see-through and does not give you that “jail cell” type of look. 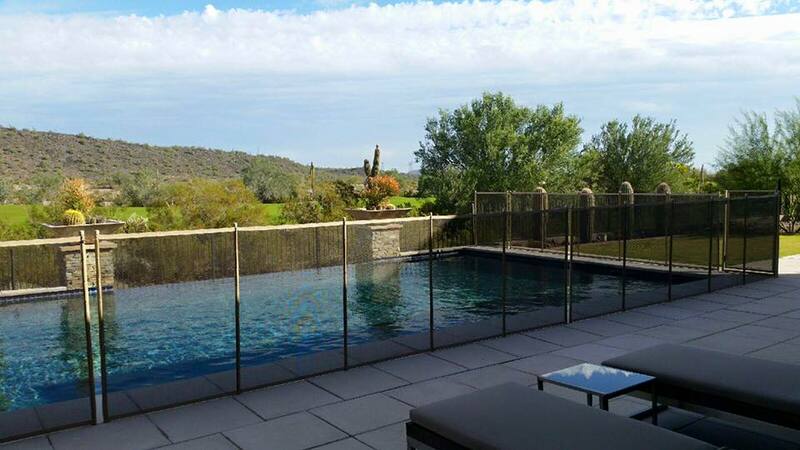 Mesh pool fencing preserves views and more importantly offers complete see-through capability to your pool. 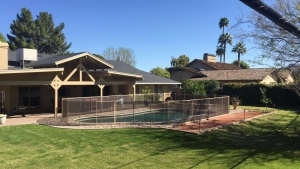 The mesh fence maintains the look of an open yard, especially those backyards that aren’t that big. 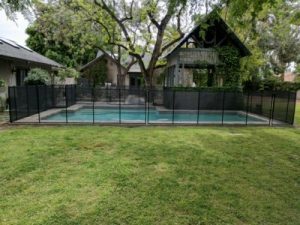 It is less obtrusive than other types of fencing thus giving you a feel of more space. The mesh fencing system is removable. Once you’re done with your fence you can easily remove it whereas other types of fencing takes actual machinery to remove and haul away. 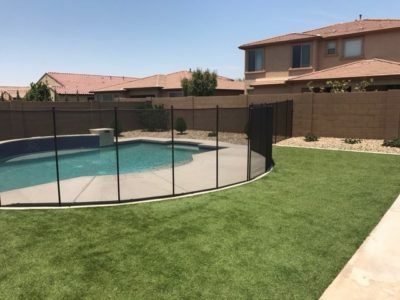 Our mesh fences are safe, durable and come with a lifetime manufacturers warranty.